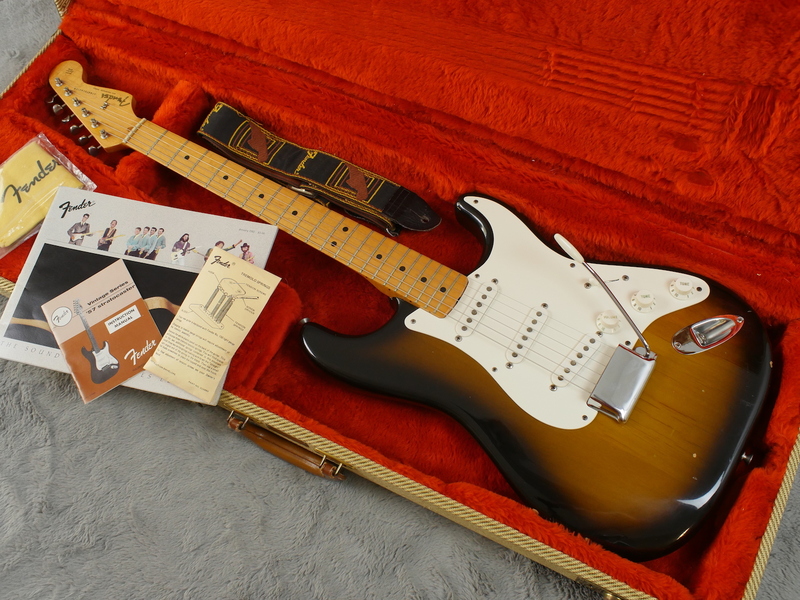 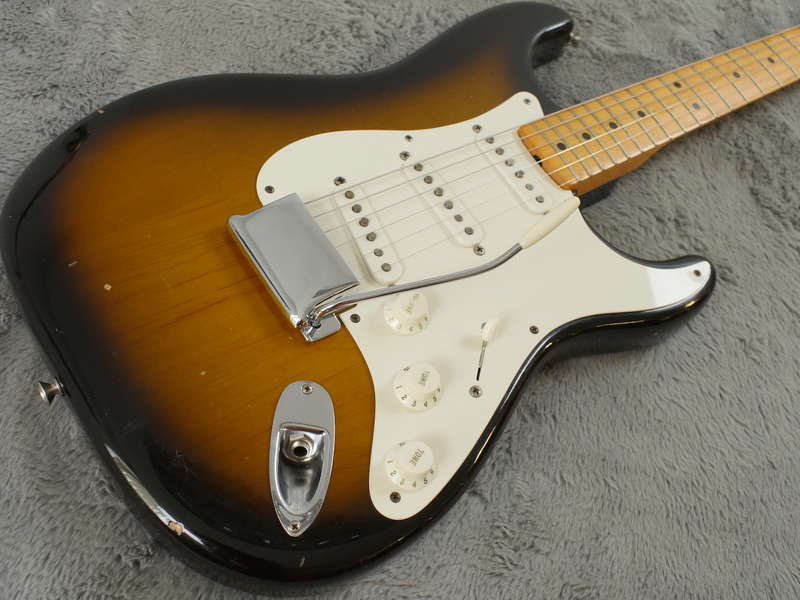 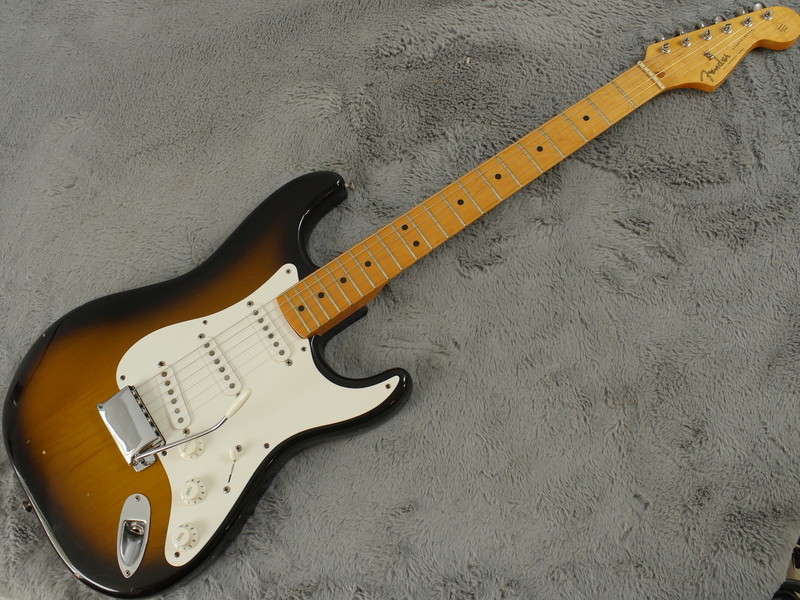 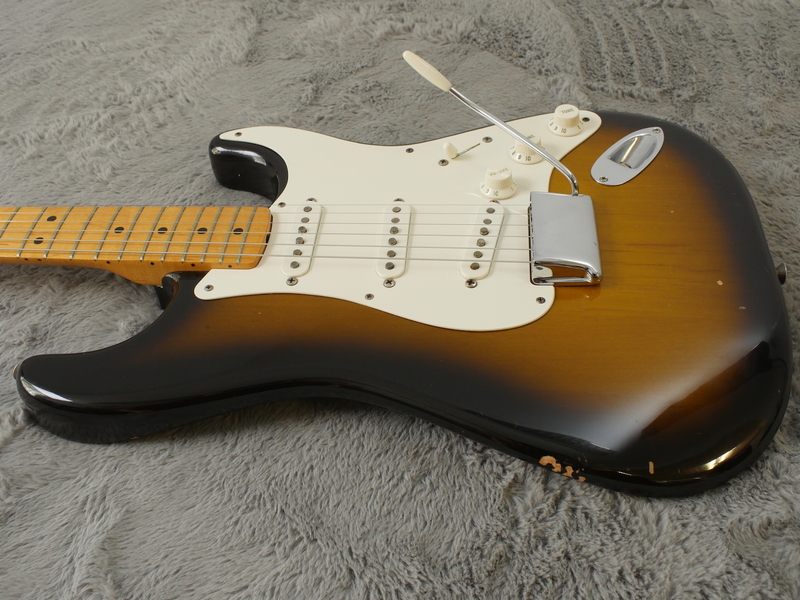 This is an extremely early and somewhat rare, 1982 Fender AVRI Stratocaster with a very early V 000280 serial number with case candy and in very fine condition. 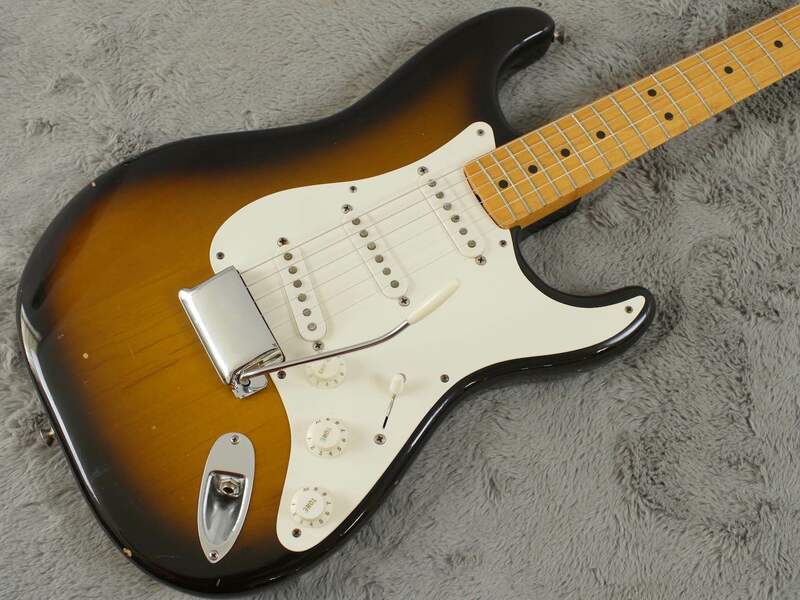 More than a reissue but an out-and-out classic in its own right, this 1982 Fender Stratocaster AVRI represents the resurgence of the Fullerton output following the doldrums of the late CBS era. 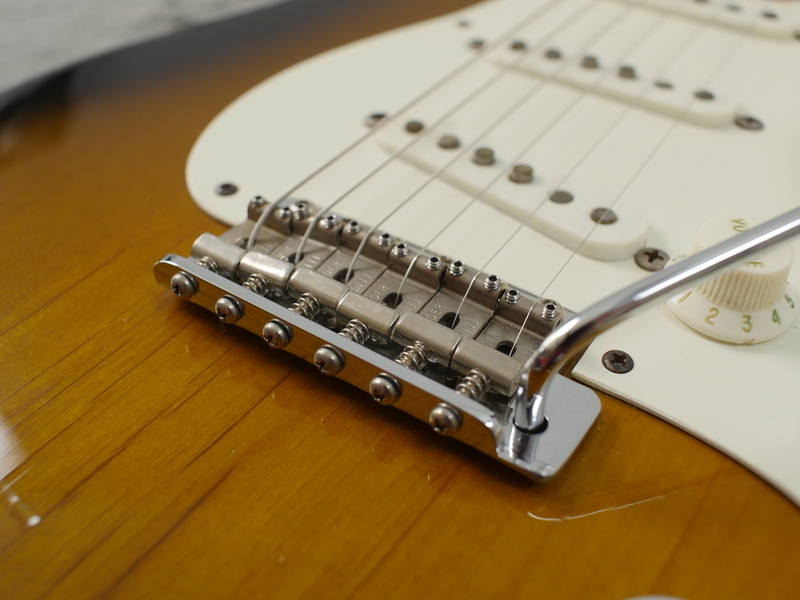 These American Vintage Reissue guitars represent a turning point for the company, under the guidance of Dan Smith. 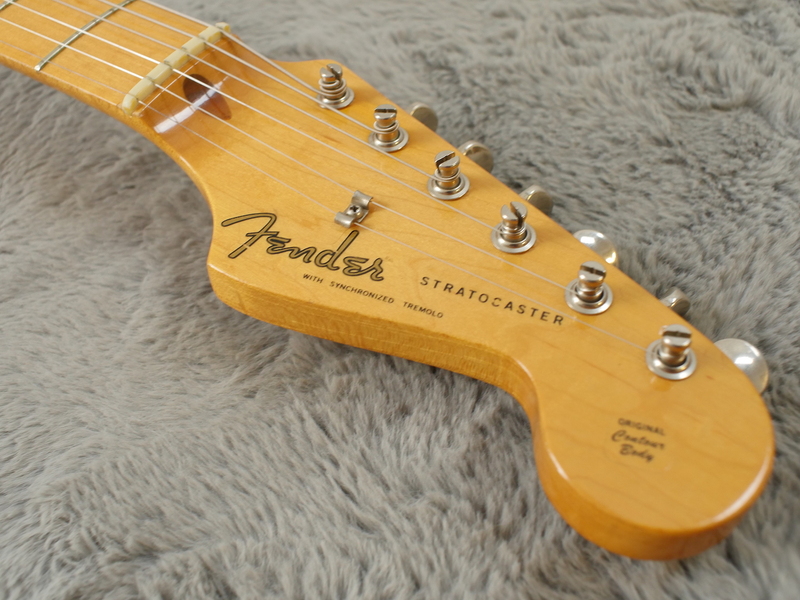 He focused on build quality, new production line and a general change of ethos within the company. 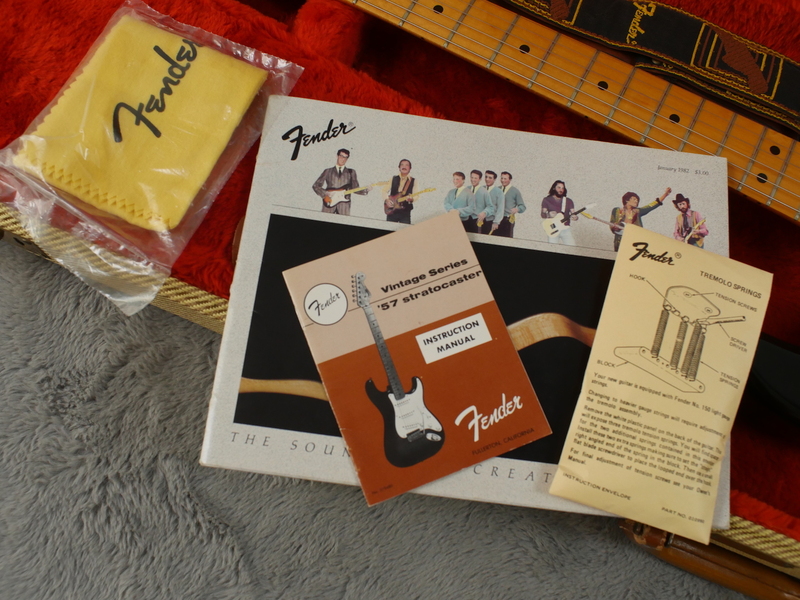 Production started in April/May of 1982 and continued in Fullerton until the factory was moved in 1985. 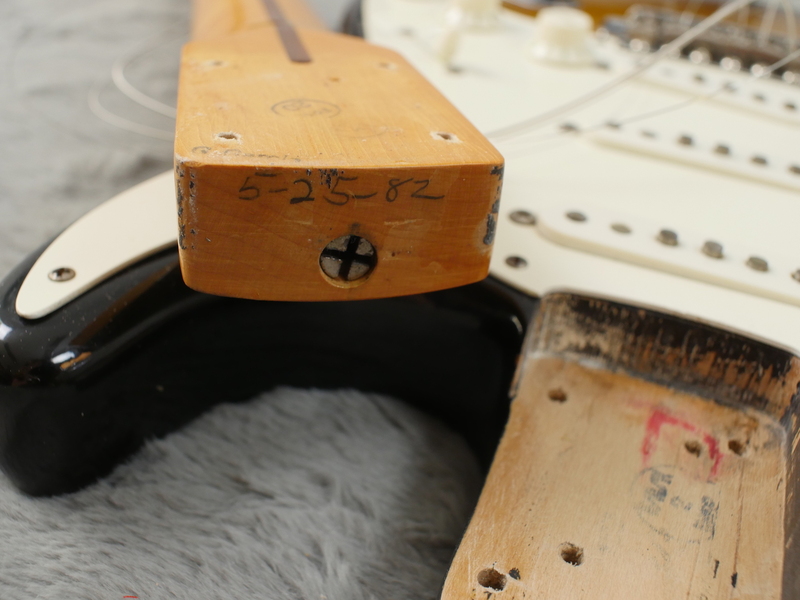 This example represents the very first run, the neck date being 5-25-82. 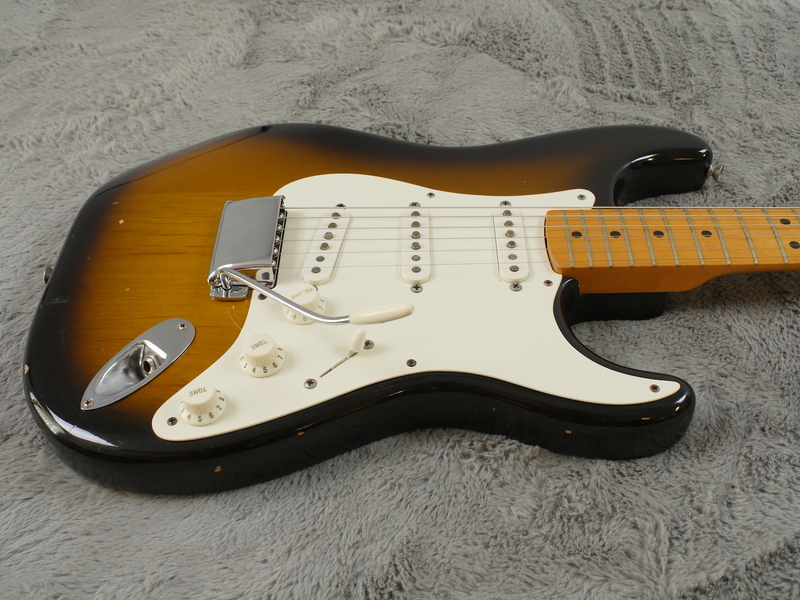 Considered by many collectors to be the cream of the crop, this guitar has many desirable features. 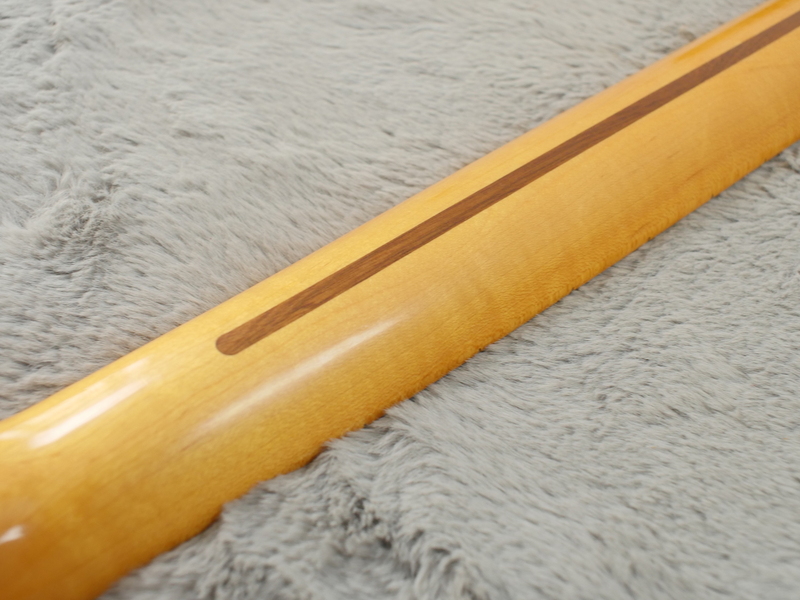 The ash body features a deep, long rear contour referred to by collectors as the ‘Fullerton’ contour. 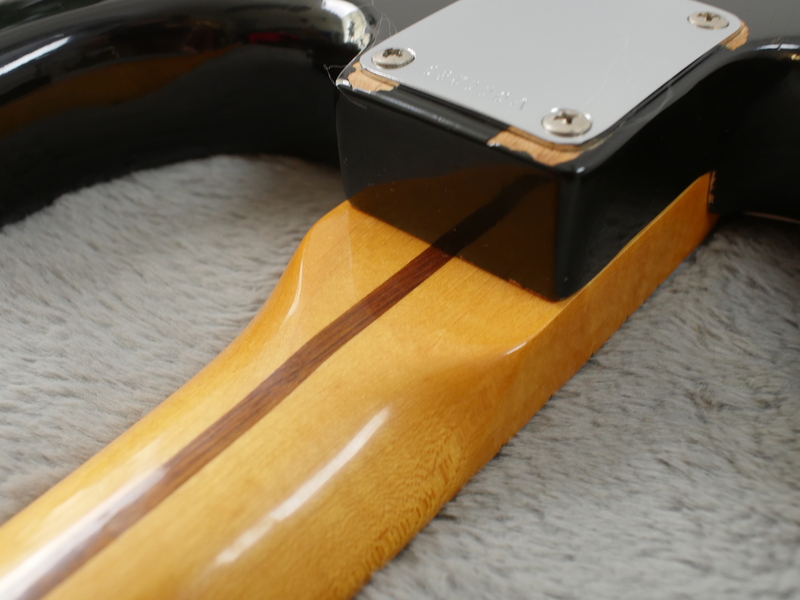 This shape results in a thinner, sleeker top edge more in keeping with the 50s lines and in contrast to the squarer contours of the later models. 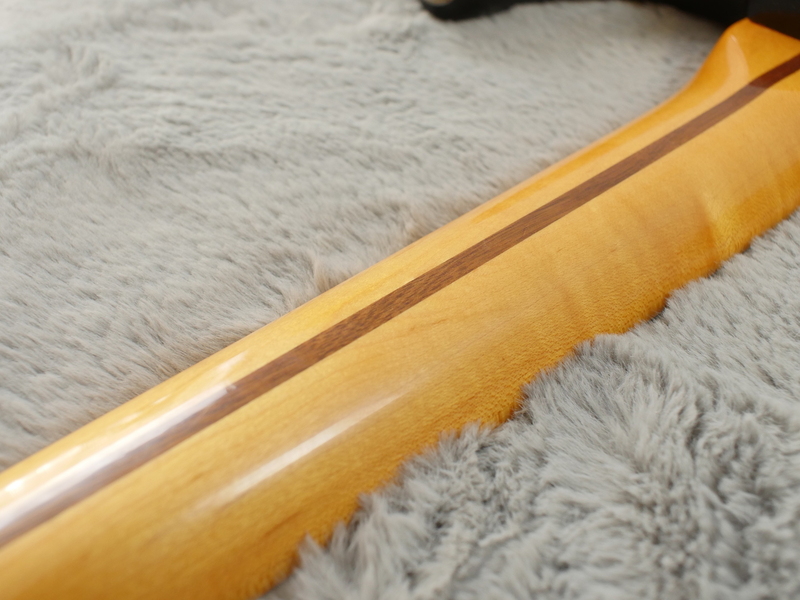 The two-tone sunburst nitrocellulose finish is very clean and really showcases the exquisite grain of the wood. 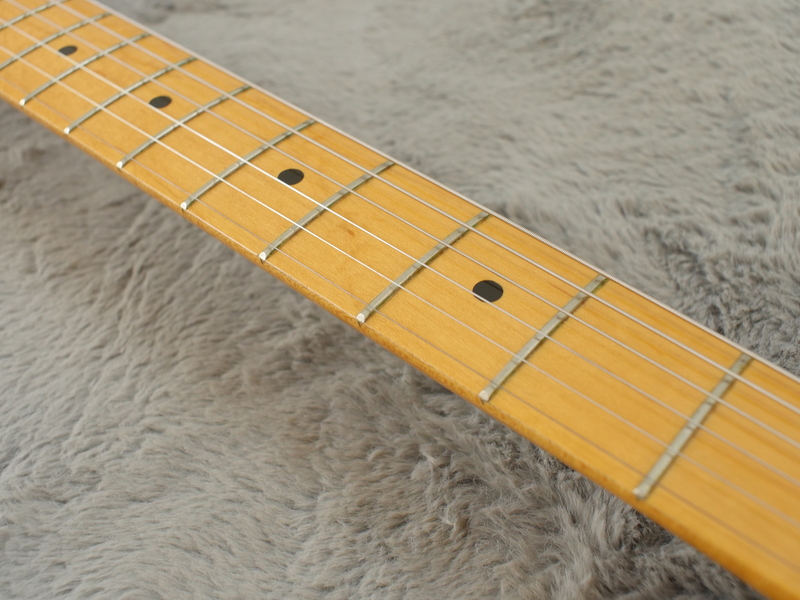 The one piece maple neck features the soft V so favoured in Strats of the 50s and the impeccable lacquered finish really makes for a fantastically spanky playing surface, smooth and not sticky. 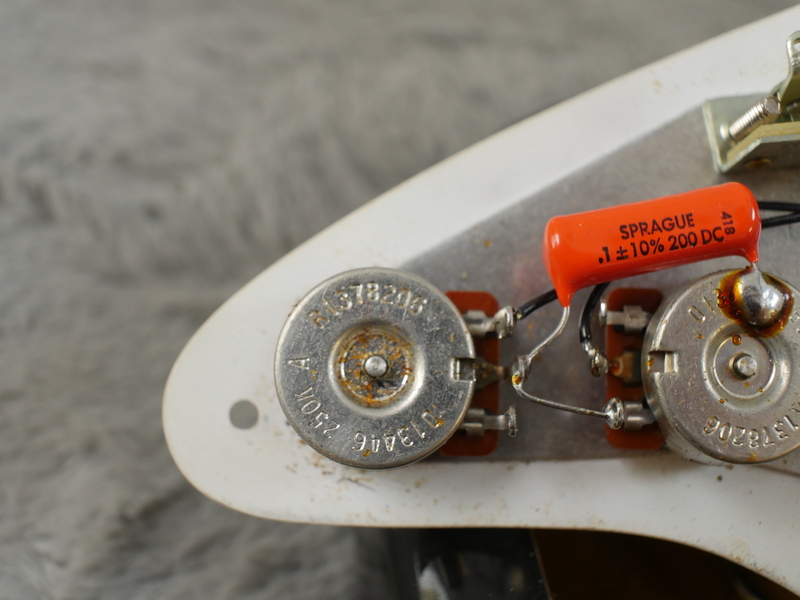 Under the 8 hole single ply white pickguard we find three super rare grey bobbin single coil pickups, found on less than 10% of guitars manufactured between 1982 and 1984. 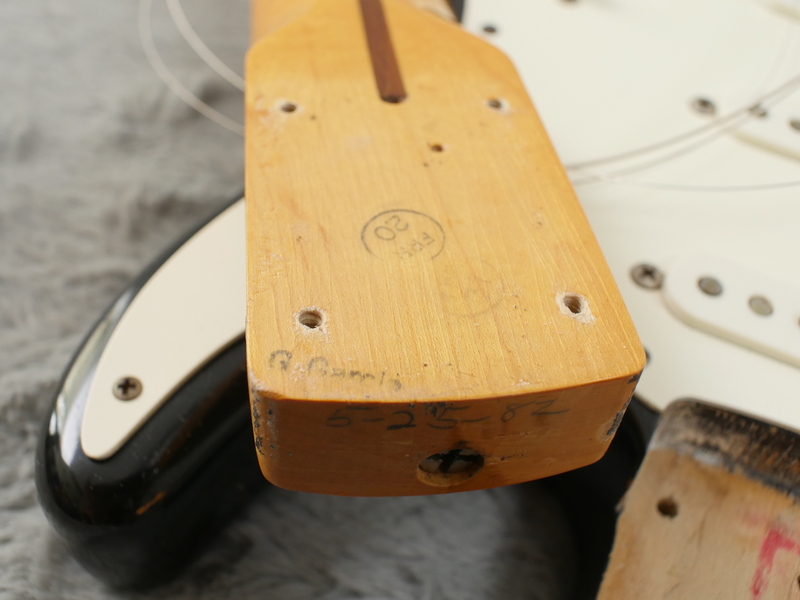 These were hand wound by Abigail Ybarra, famed Fender ‘pickup artist’ and employee since 1956. 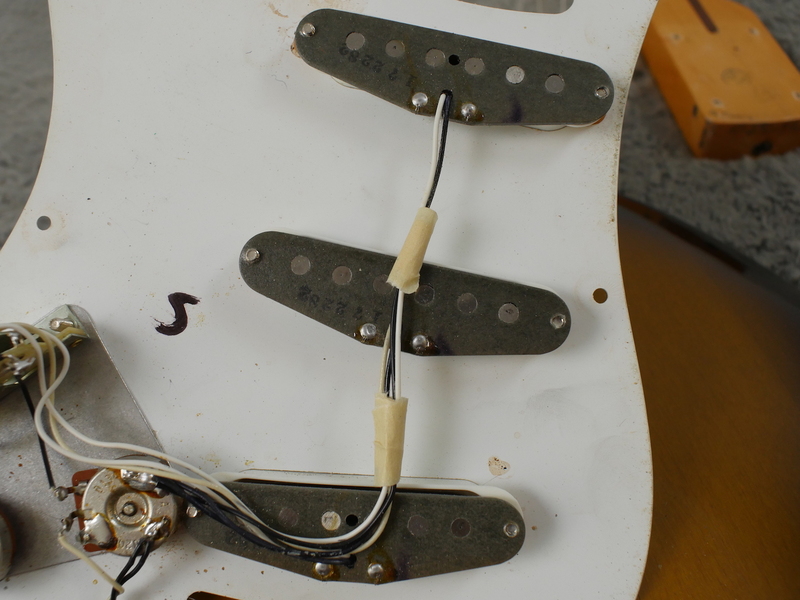 The pots are original CTS and date to the 6th week of 1982 and wired with thin plastic wire, a feature of these early models as cloth wire was adopted later on. 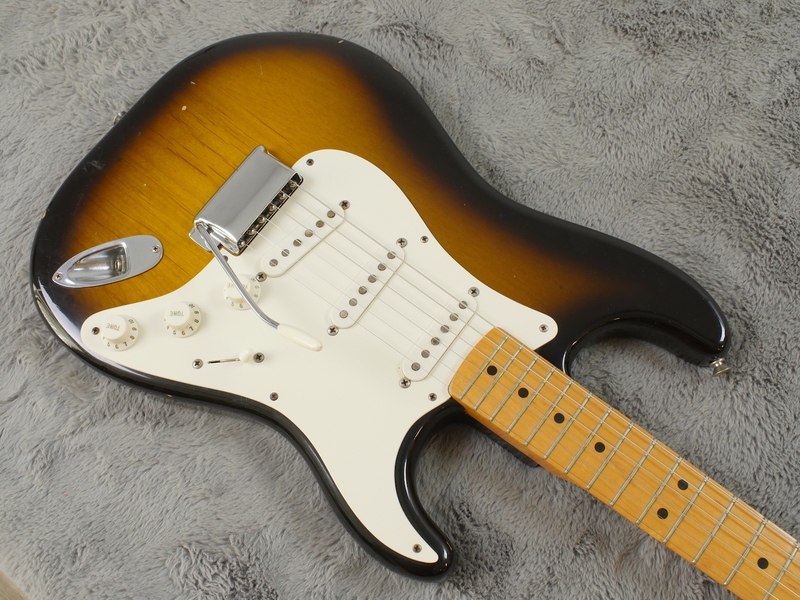 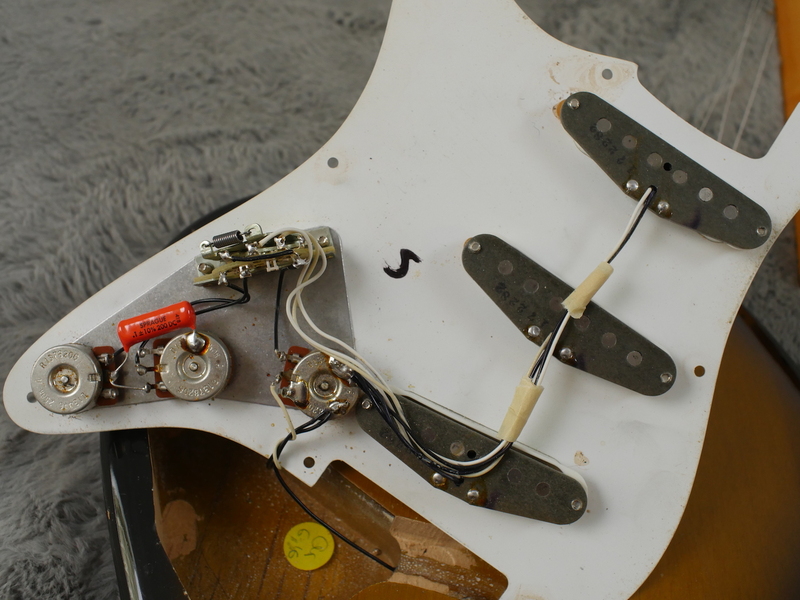 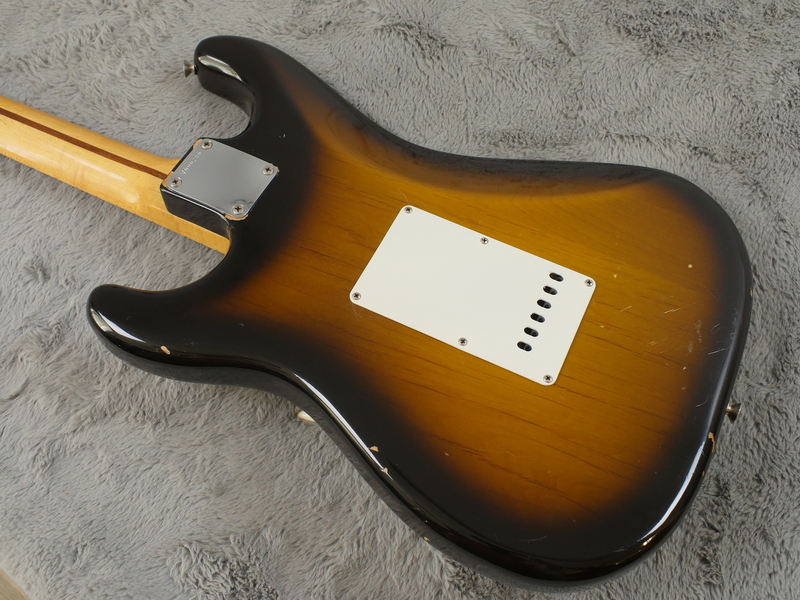 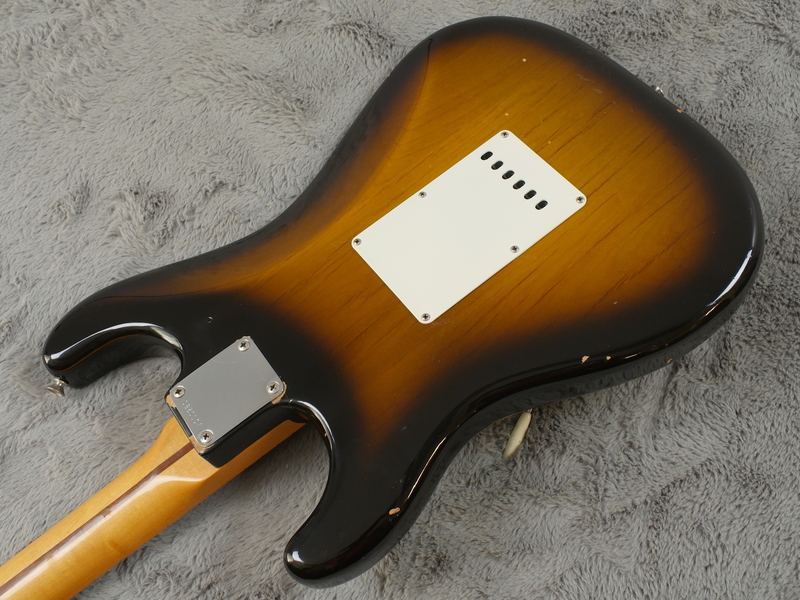 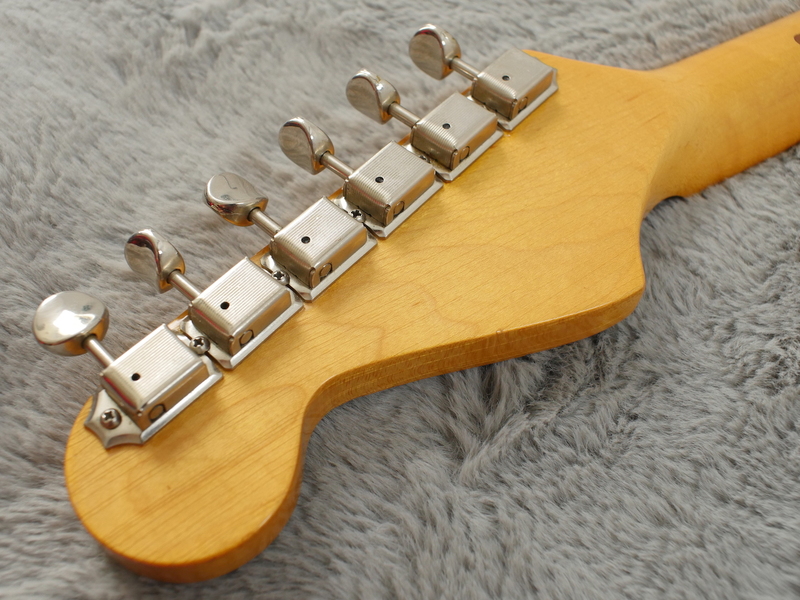 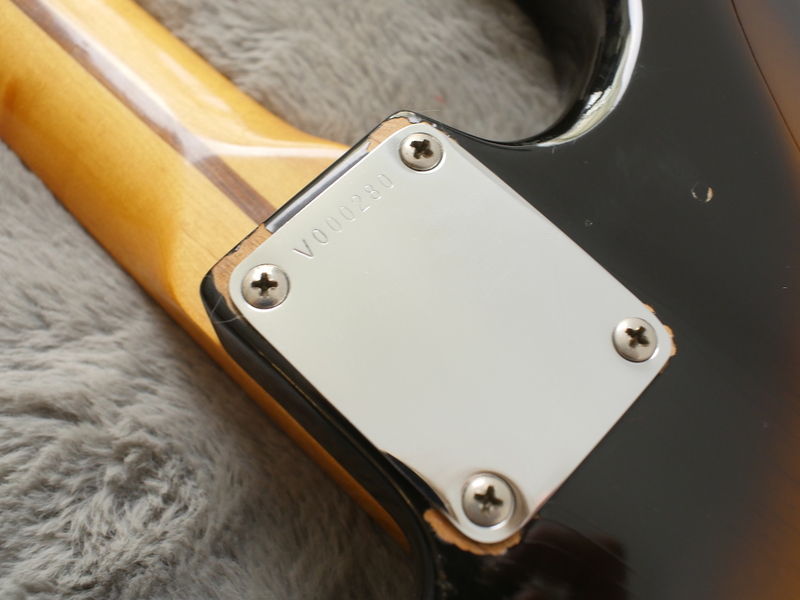 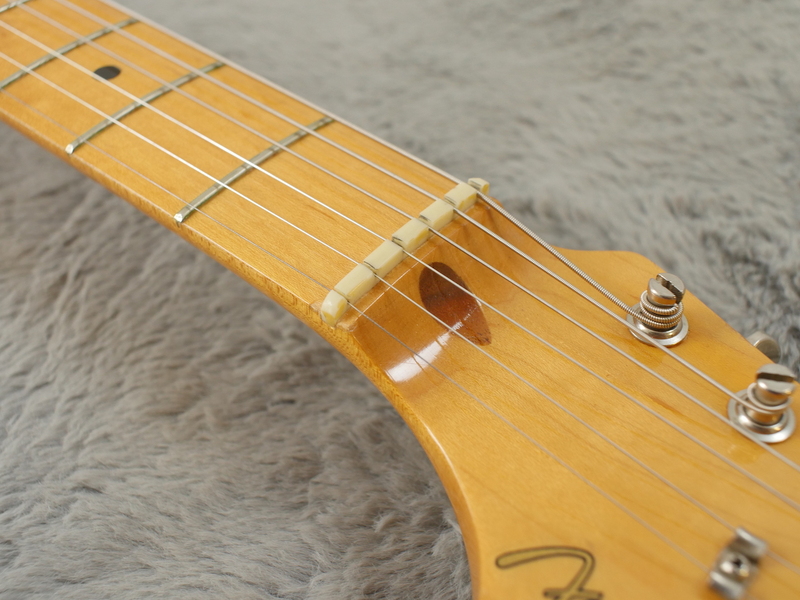 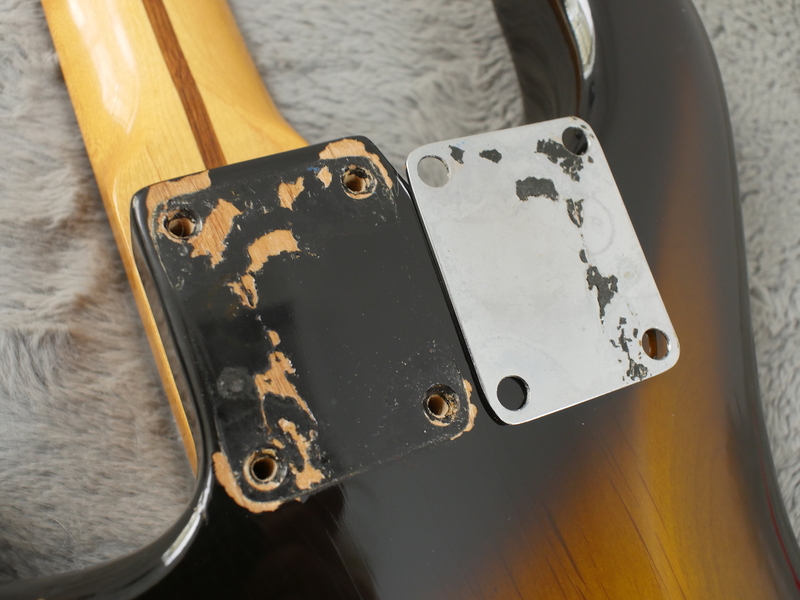 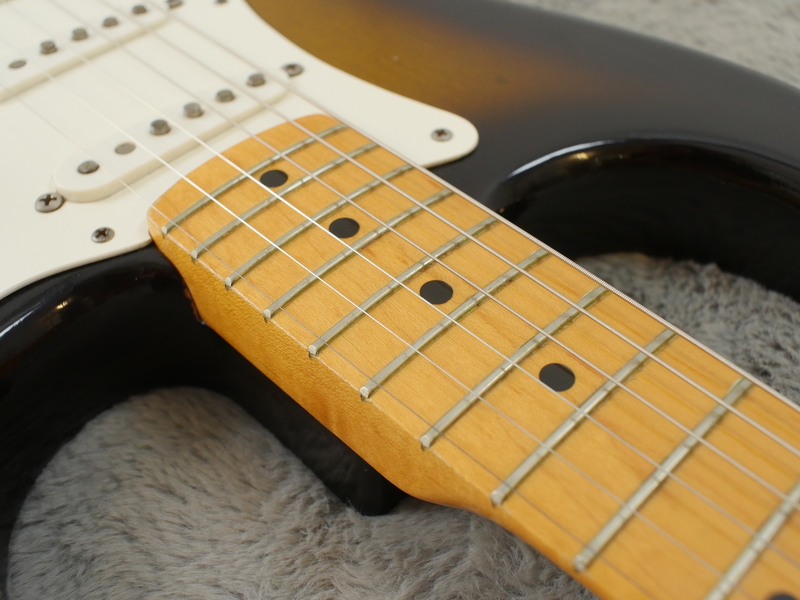 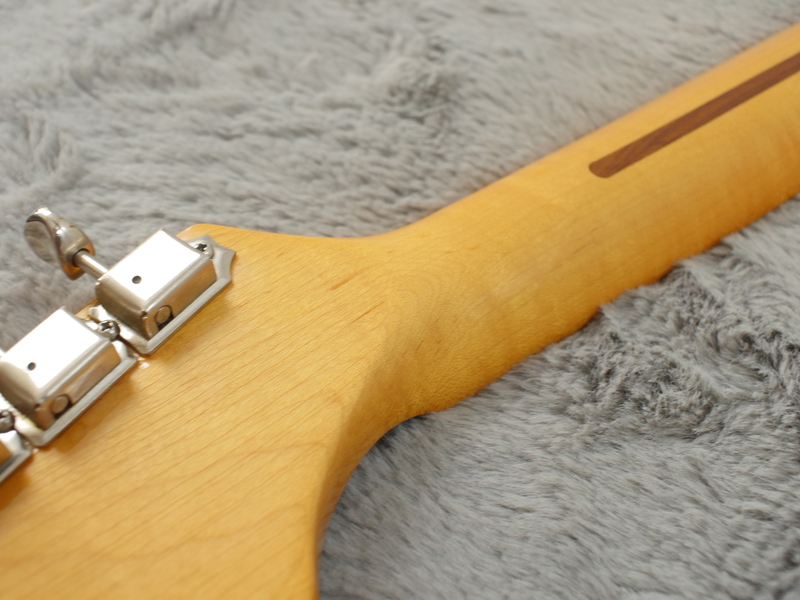 The guitar is fitted with its original five-way switch, a common showroom modification as the guitar would have left the factory with a three-way switch. 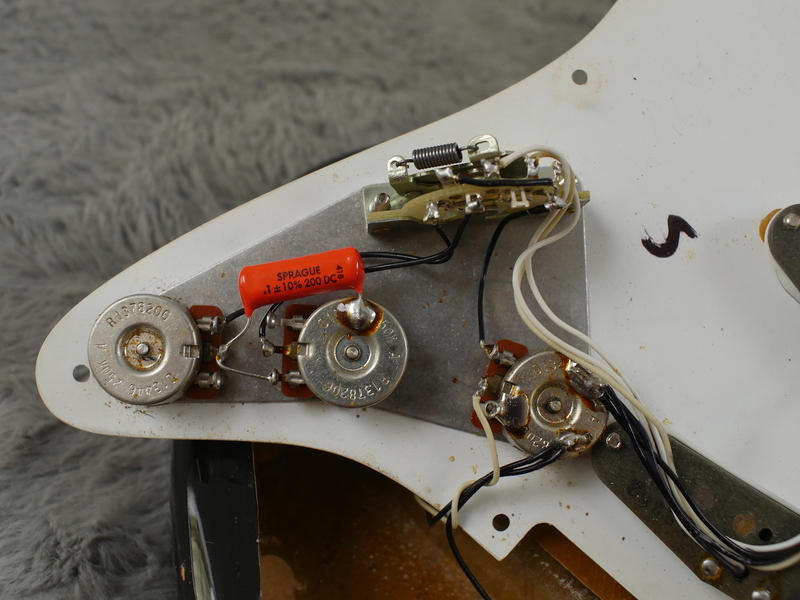 Often these three-way switches were lost, but previous owners of this guitar have managed to keep hold of it. 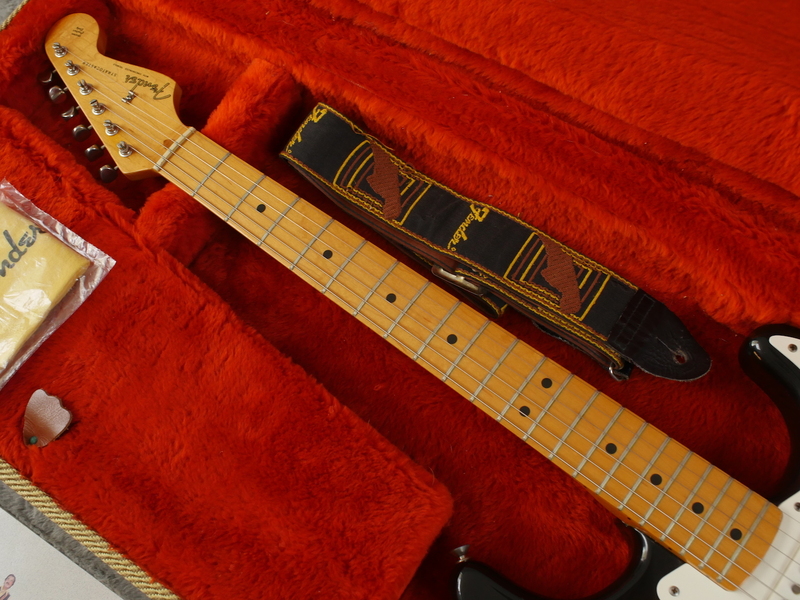 The original hardshell case is in fantastic shape, being in itself as desirable as the guitar. 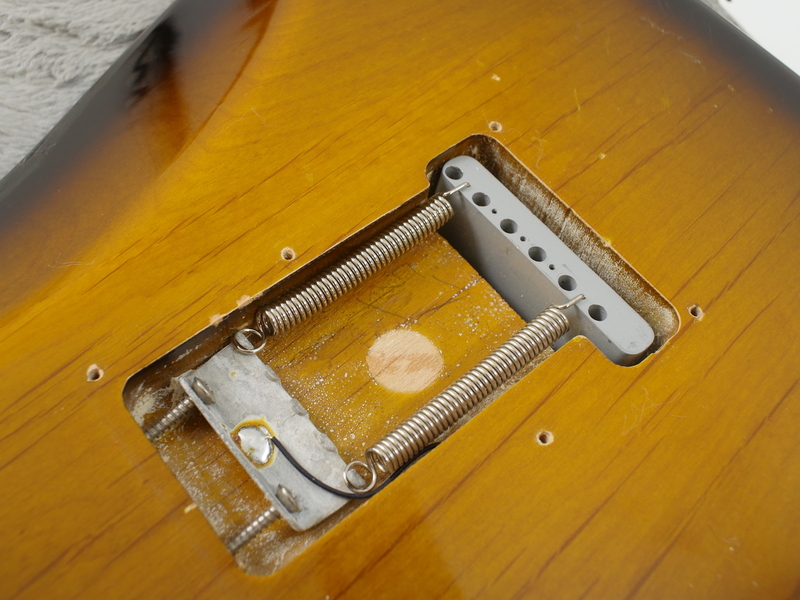 One latch has been replaced with the original being in the case. 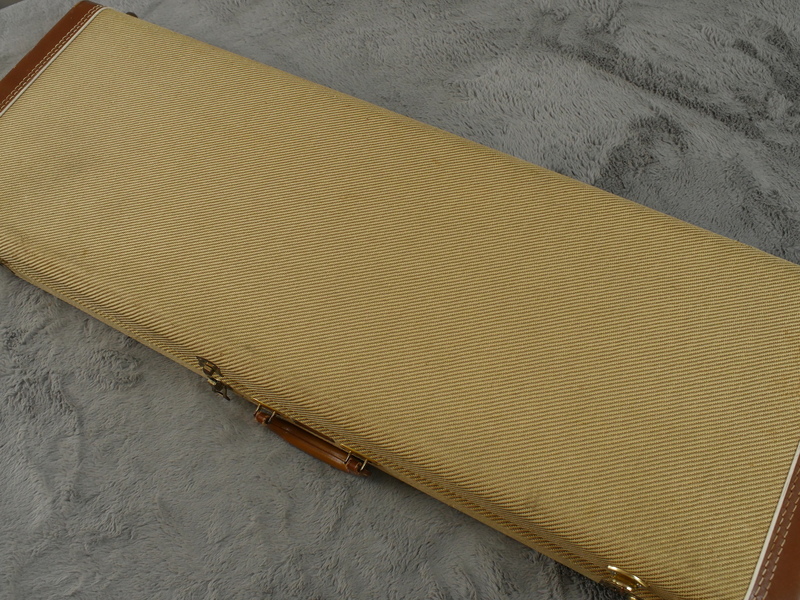 Inside can also be found the original case candy which can be seen in the photos. 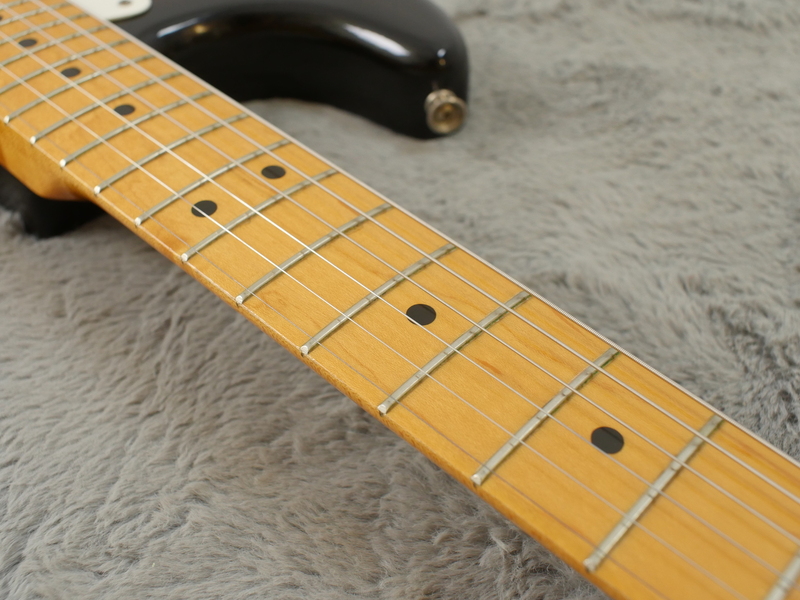 The classic combination of maple and ash bring a bright, resonant tone to this instrument that really sparkles when plugged in. 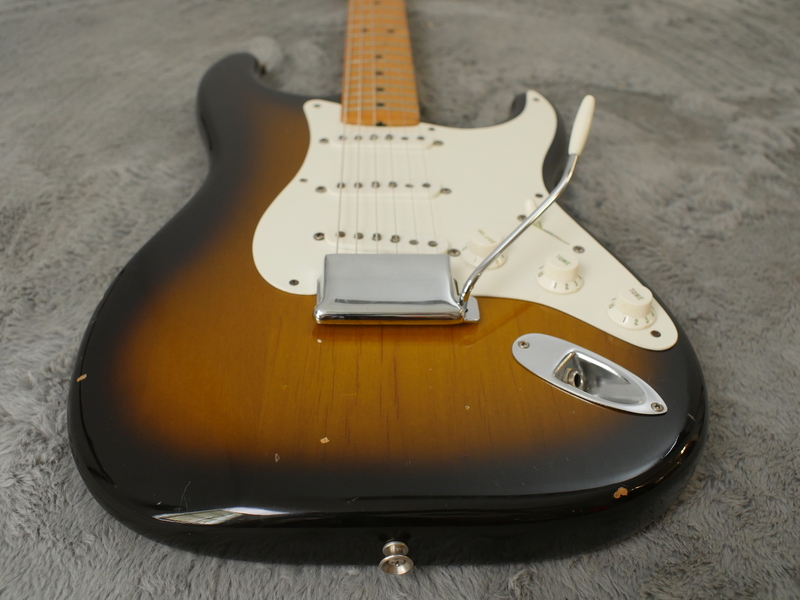 All your classic strat tones can be found in these perfectly balanced pickups. 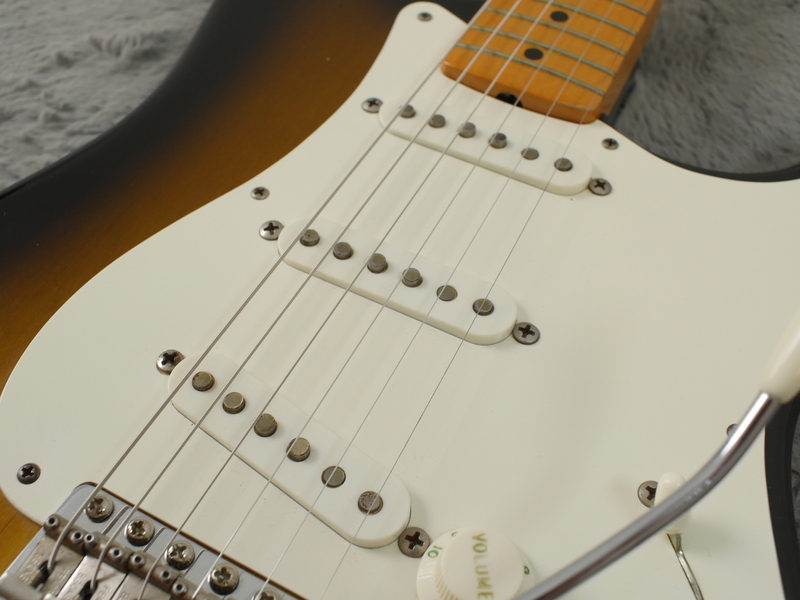 From rounded bell like tones to some quintessential Fender bight, its all here. 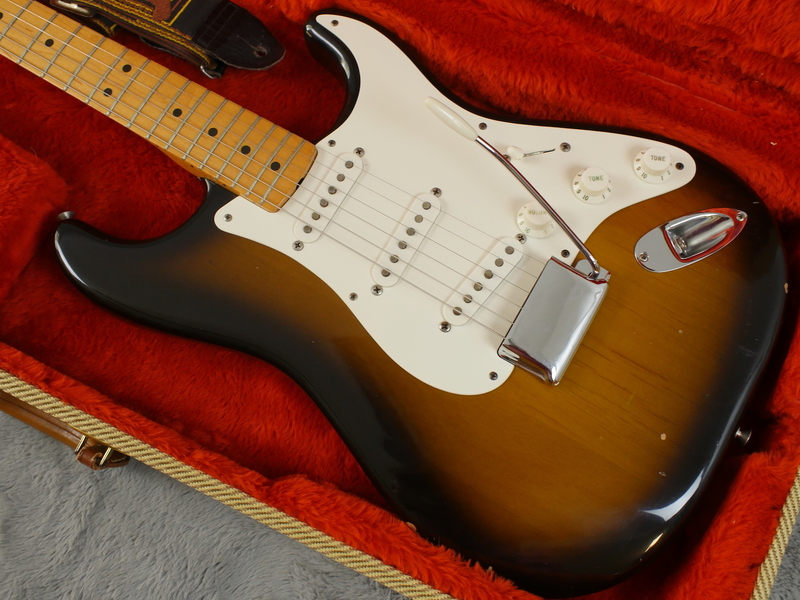 This is a true classic and a great instrument. 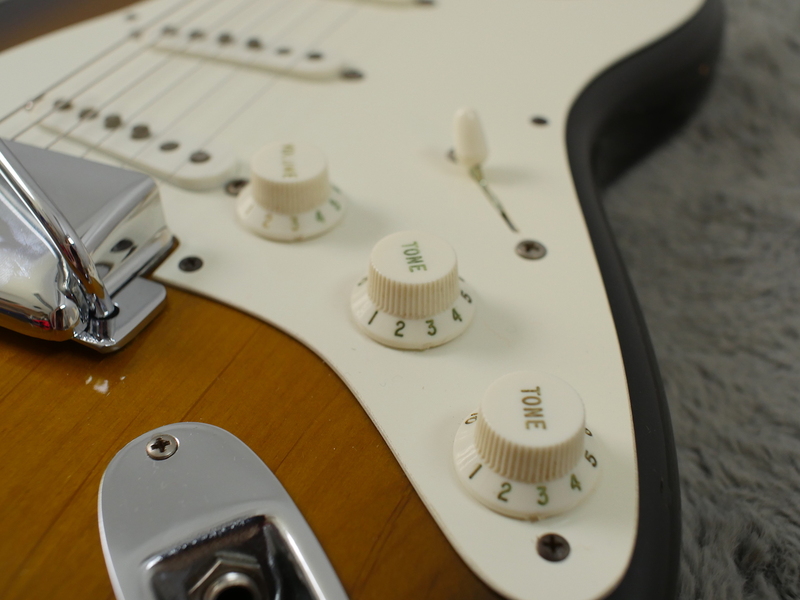 The attention to detail really sets it apart and this is your opportunity to own something truly special.